Photo-sharing site Instagram recently upset many of its users by suggesting in an amended terms of service agreement that the site might start using their photos in ads. Instagram later retracted the change, but the controversy raises questions about Instagram’s business model and how its owner, Facebook, might eventually make a profit from the free service. Wharton marketing professor Pinar Yildirim says the answer is to build a mutually rewarding relationship with its users. 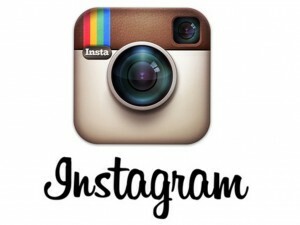 Within two years of its launch, Instagram has grown to 100 million users who have posted some five billion photos. But loyalties run fickle in the world of online services. A day after its revised terms-of-service prompted outrage among users, Instagram co-founder Kevin Systrom clarified in a blog post that his company didn’t intend to sell users’ photos to advertisers. The service was working to update the terms to make them clearer, he added. But some damage had been done: Within a week of the first announcement, Instagram’s number of daily active users fell from 16.4 million to 12.4 million, social media traffic tracking firm AppData told the New York Post. Many unhappy Instagram users threatened to take their photos to rivals like Yahoo-owned Flickr, which recently revamped its mobile app, along with Instaport.me and InstaBackup, according to a New York Times report. Facebook, which bought Instagram last April for $1 billion, “needed some of Instagram’s functionality, and Instagram is worth much more to Facebook than it is alone,” Wharton operations and information management professor Eric Clemons told KnowledgeToday soon after the purchase. But the big question for Instagram is how to become profitable. Yildirim suggests several viable routes for Instagram to monetize its services, including low-risk options such as charging subscription fees, selling photo products and selling advertising. Higher-risk options include commercializing users’ photos and selling data to third parties. “Depending on which route they take, their major competitor will vary,” she adds. “The first two options of monetization are relatively straightforward to implement and would result in low backlash from the consumers,” Yildirim notes. Most photo services allow for free subscriptions and limited storage, and begin charging for storage beyond a certain level. Flickr, which has such offerings, would become more of a competitor if Instagram pursues the subscription route. “The difficulty comes from convincing consumers to switch,” she says. All that this deal needs is followers. And today you can easy get them, just use zen-promo.com or something like it. Enjoy the result.